Work table, courtesy of Craigslist. 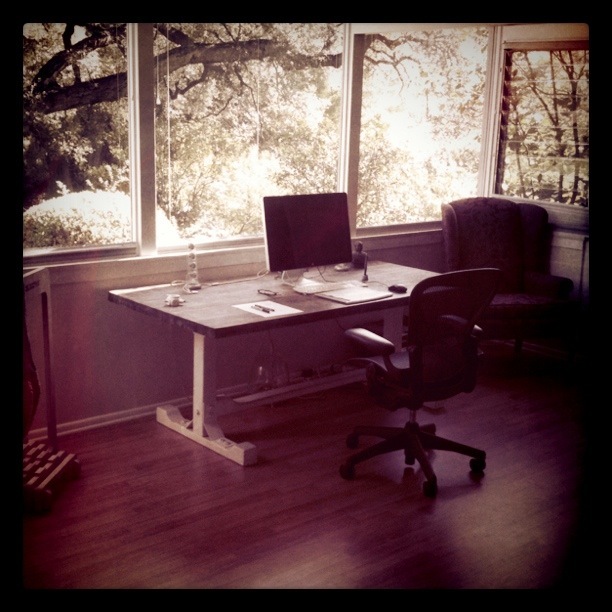 Last week we aquired a big wooden work table through an ad on craigslist. While at the owner’s house to pick up the table, I noticed a wall of trees full of banana bunches! 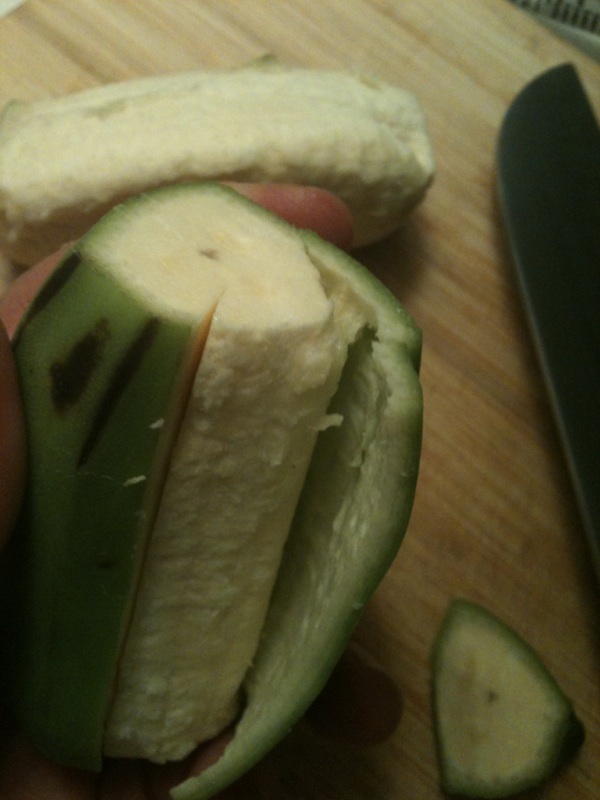 As a kid, my dad grew all kinds of tropical plants and I loved eating the tiny sweet bananas that would pop out every once in a while. 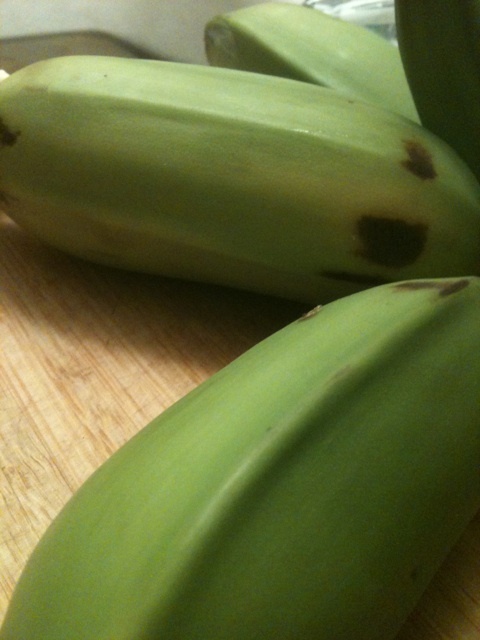 Upon questioning, the homeowner informed me that these bananas are a bit more like plantains, you have to cook them in order to eat them. He gave us a big bunch and I promptly fried them up into chips. If you have never done this, then you should give it a try. 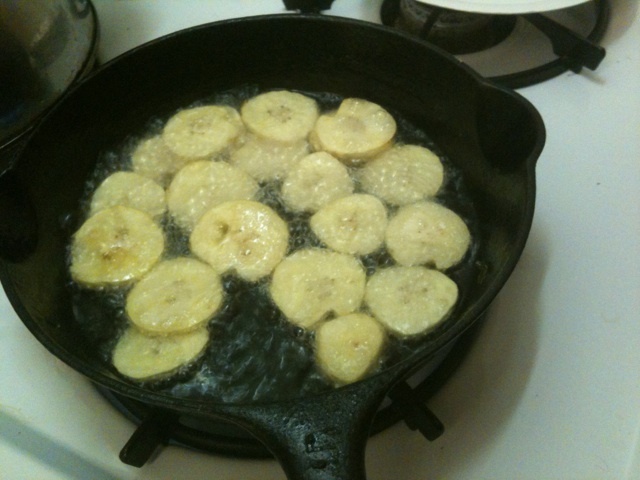 Many times, store-bought plantain chips are cooked in a seed oil (sunflower, safflower, etc.) and are laden with omega 6 fatty acids. By frying them yourself, you can ensure a quality fat is used (and they are more yummy, in my opinion). 2. It may help to slice down the middle of the peel and go from there. 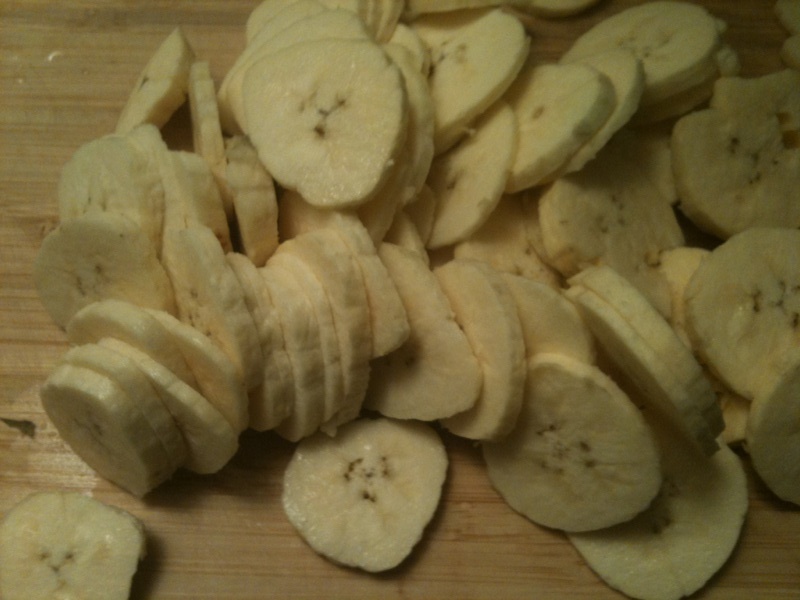 3. slice plantain into thin-ish slices of equal width. 4. 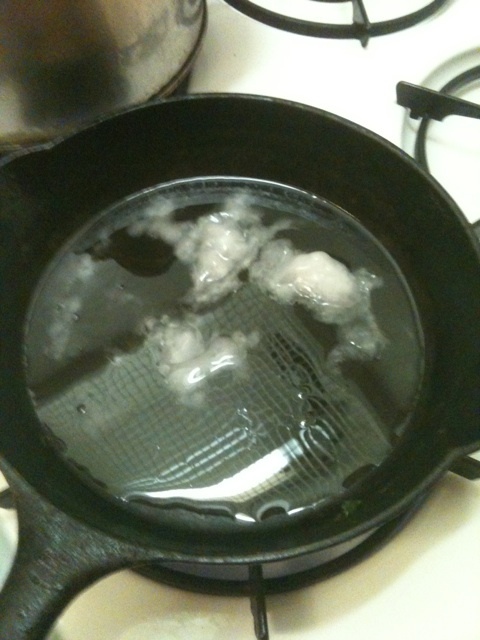 Heat up some coconut oil or palm oil in a skillet. Enough to make a pool that will cover the slices once they are placed into the skillet. 5. Once the oil is sizzling hot, leave the burner on a medium-low heat. Drop in the slices and watch them fry! 6. You must keep an eye on them or they will burn! Flip them when you see the bottom starting to turn golden. With a spatula, spoon, etc. remove the done chips from the skillet and let them drain like you would bacon. 7. Stick them in a bowl and season anyway you like! Some ideas: sea salt, cayenne, paprika or coconut sugar and cinnamon. These are a delicious and healthy, good for sharing and satisfying the “chip” craving. This method also works for sweet potato, taro, and cassava slices. Caution: hot oil is dangerous and can cause severe burns. Be careful when placing the slices in the hot oil. Don’t just drop them in, slide them into the oil. Beware while turning and removing the slices as well. Just found your blog through MDA, catching up with my reader so i am looking back over a few posts that I missed over the last few weeks. 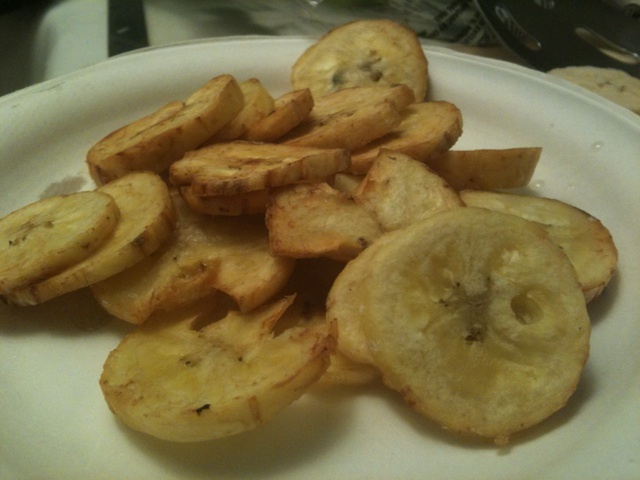 I love plantain chips too and they are also yummy fried in a mixture of coconut fat and butter if you can tolerate butter. I am lucky enough to have a found a wee shop in the west of Ireland that I visit every three weeks or so where I can get plantains, the rural area where I live has a more conservative range of food. Steve and I made plantain tacos one time and they were so good!